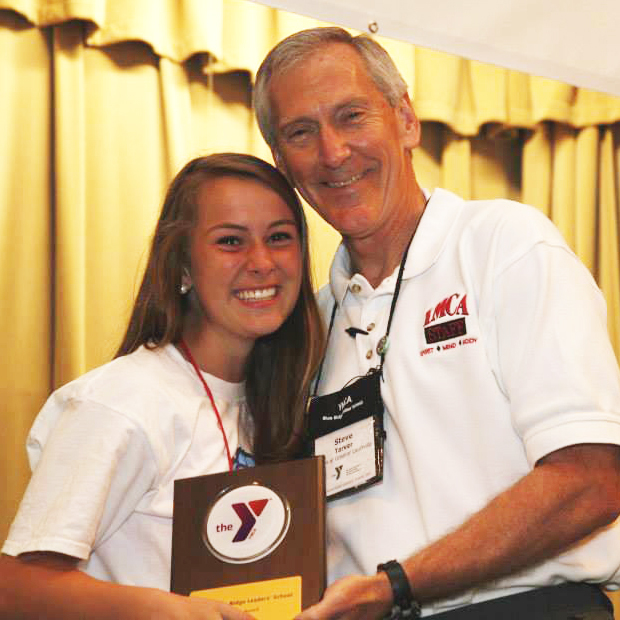 My name is Caroline Hastings and I’m from Memphis, TN, but serve at the YMCA of Schilling Farms in Collierville, TN. I’ve always been involved with the YMCA because both of my parents, Peter Hastings and Gay Eleanor Cosby Hastings, grew up as Leaders in their hometown YMCAs in Knoxville, TN and Franklin, VA, attended Blue Ridge Leaders’ School, and served as Honor Leaders during different years. Leaders’ Club has been a key part of my life from a very young age because my mom and Lauren Biggs started the Ric Nuber YMCA Leaders’ Club in East Memphis when I was eight years old. After a year of attending meetings and events, I attended Blue Ridge Leaders’ School as a fellow yellow tag. At the end of that week, I finally understood what “magic” my parents constantly alluded to when BRLS arose in conversation. From then, I was hooked. From ages twelve to fifteen, I was thoroughly involved with the Ric Nuber Leaders’ Club until I joined the Schilling Farms Leaders’ Club in Collierville in 2013. As my involvement in Leaders’ Club increased, my passion to serve followed suit. Throughout my life I have played a variety of sports, but my love for tennis has been evident since middle school. My skills and conditioning improved, but I wanted to do more with my skills than just play. I began teaching tennis to little girls ranging from ages four to eight through my school the spring of 2013, and soon after started a summer job as a tennis coach for a government facility in East Memphis. My goal is to utilize my tennis teaching skills to potentially start a tennis program in YMCAs in my community—and hopefully many more throughout the south! The YMCA has helped me realize my love for teaching and empowering children throughout my community, and our staff and facilities at Schilling Farms has engaged my leadership through Kids’ Night Out, family car washes, and various other activities. As I have just completed my fifth year on the Mountain as a seventeen year old, I reflect on all the blessings and lessons the Lord has taught me through the YMCA and I’m excited to bring what I have learned this summer to my YMCA. I cannot thank Him enough for this unique opportunity to give back to both my YMCA and the Blue Ridge Leaders’ School community! I’m excited for the adventures to begin with an outstanding group of Honor Leaders as I tackle my senior year!